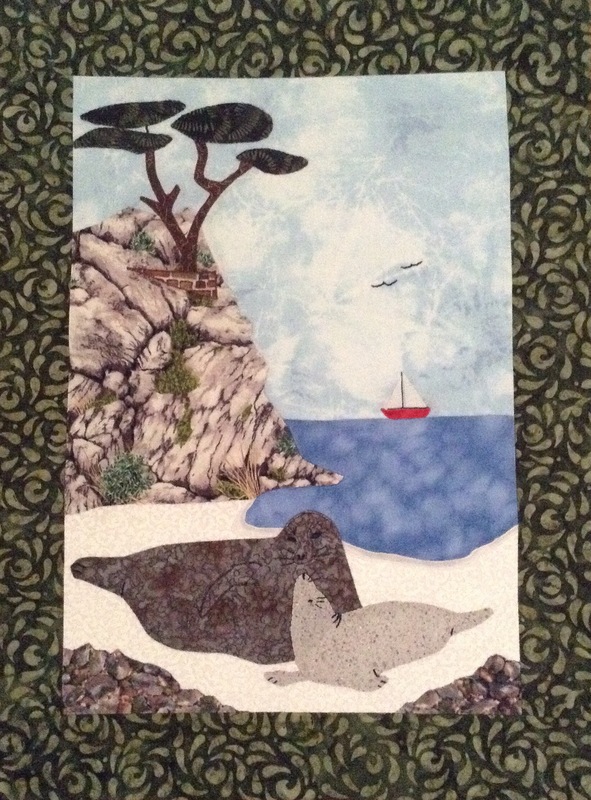 This most recent wallhanging is a compilation of two photos I took while visiting Point Lobo with my daughter in 2011. One is of a famous copyrighted “Lone Tree” on a cliff and the other of a mother seal kissing her baby pup. Good times!